Is This the 2015 Jeep Renegade aka The Baby Jeep? It's no secret that Jeep has plans to offer a new "baby Jeep," which will slot under the Jeep Patriot. It's been said it'll be based on the Fiat 500L and have all-wheel drive. There hasn't been any word from Fiat Chrysler Automotive about when it'll be available, what it'll look like, or pretty much anything else. The car is supposed to debut at the Geneva Auto Show next week, but apparently the pic has been scooped. Today, Jalopnik posted the picture above. 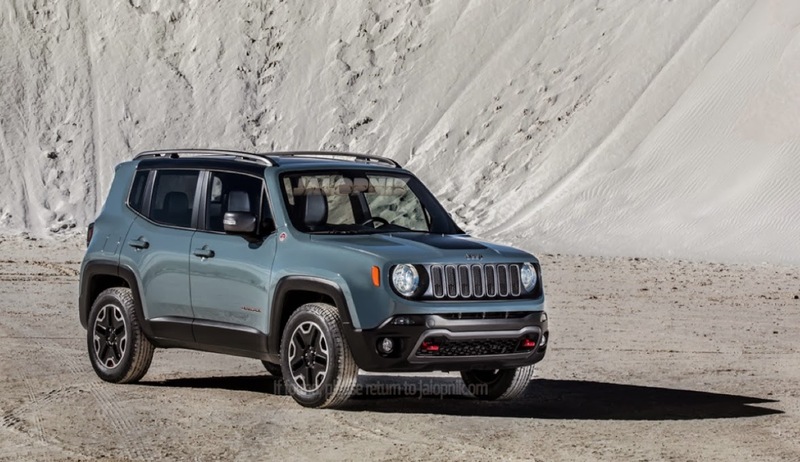 Apparently the vehicle will be called the Renegade and I like it, assuming this is truly it. The new Cherokee's off-road trim level is called the Trailhawk, and this picture looks very similar to that trim level: Same color, red tow hooks, black wheels, and black accents. Frankly, I love it. Again, assuming this is truly real, I think it looks a lot like a Fiat Panda, which is a good thing. It also has a very tall, narrow look that kind of reminds me of a Kei car, but in a good way. Hopefully the Renegade will be available with a powertrain to turn all four wheels, which I'm sure it will be. It'll likely be an all-wheel drive system, and with any luck, it'll have a center diff lock. I doubt it'll be four-wheel drive system with low range and all that. I just hope you can get the AWD with a manual transmission. This little Jeep might just make for a great adventure vehicle. I'm really looking forward to learning more about this, and holding out hope it'll come with a manual trans. Jeep—you've got my attention.